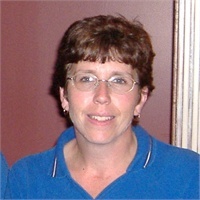 Barbara has worked in public accounting for over 30 years. She is a graduate of De Sales University, Center Valley Pa. Starting 2018 she will be the treasurer for the Upper Bucks Chamber of Commerce. She is also the current treasurer for the Pennsylvania Society of Tax & Accounting Professionals(PSTAP), Past President of the Lehigh Valley Chapter of the Pennsylvania Society of Tax & Accounting Professionals and member of the Pennsylvania Institute of Certified Public Accountants(PICPA). Barbara is also a certified Quickbooks Advisor. Prior employment includes a multi-state retail store and a local CPA firm. Hobbies include gardening and photography. Barbara is the parent of five children and two grandchildren.